The University of California, San Diego will offer merit-based scholarships to student athletes for the first time this fall, making it the last school in its conference to do so. The scholarships will be funded by fees from a 2007 student government referendum, with additional private support from alumni, families and friends. The change, which was approved by the university’s Academic Senate Council during the 2013-14 academic year, will help make UC San Diego more affordable to student-athletes from all backgrounds, including those from low-income families who come from under-served regions. The new scholarships will also help UC San Diego athletics remain competitive with other UC campuses, as well as competitor schools in NCAA Division II, which provide athletic scholarships to attract top students. 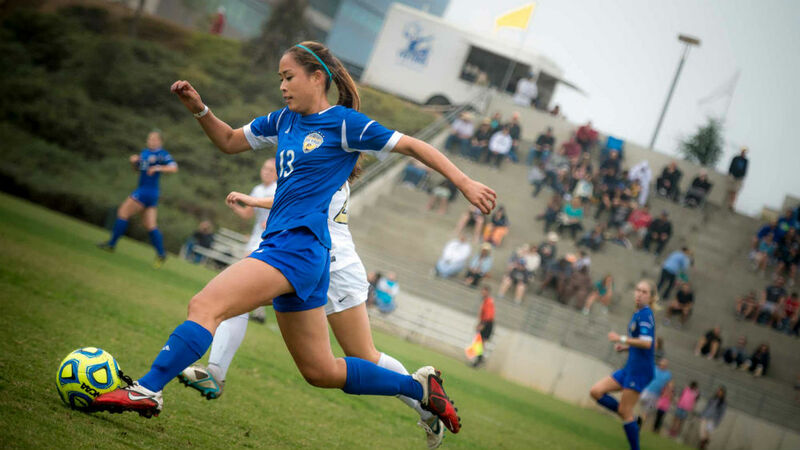 UC San Diego has consistently been ranked as the top NCAA Division II school in the National Collegiate Scouting Association’s Power Rankings based on student-athlete graduation rates, academic strength and athletic prowess. In addition, the campus recently won the NCAA Presidents’ Award for Academic Excellence based on strong graduation rates among UC San Diego student-athletes. The average GPA of student-athletes at UC San Diego is higher than that of the student body as a whole, according to the university. In order to keep their scholarship funding, student-athletes will be required to maintain a GPA of 2.6 or better.